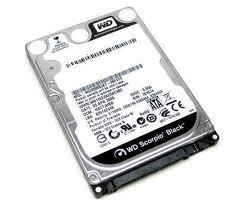 View cart “500GB Western Digital SATA 2.5″ 7200RM – Scorpio Black 5 Yr Wty” has been added to your cart. With 7200 RPM spin speed,16 MB cache, and capacities up to 750 GB, these drives enable you to have the best of both worlds: the capacity and performance of a desktop PC with the convenience and portability of a notebook. SKU: WD7500BPKT Category: Portable Computers. WD’s ShockGuardTM technology protects the drive mechanics and platter surfaces from shocks during shipping and handling and in daily operation. WD’s SecurePark parks the recording heads off the disk surface during spin up, spin down, and when the drive is off. This ensures the recording head never touches the disk surface, resulting in improved long-term reliability due to less head wear and improved non-operational shock tolerance. 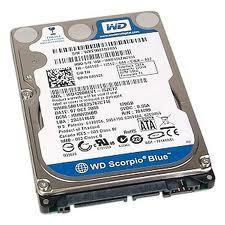 WD’s 750 GB 2.5-inch drives offer huge capacity for space-hungry operating systems with plenty of room left over for photos, music, and video. 5400 RPM-equivalent power consumption in a 7200 RPM drive. We perform tests on hundreds of systems and a multitude of platforms in our FIT LabTM and Mobile Compatibility Lab to give WD customers confidence that our drives will work in their systems. In a notebook drive, silence is golden. WD’s exclusive WhisperDriveTM combines state-of- the-art seeking algorithms to yield one of the quietest 2.5-inch hard drives on the market.